From quick overnighters to extensive thru-hikes, how you carry your weight while backpacking matters above all else. You’re essentially living out of your pack, meaning you have to bring with you everything you need to survive but you don’t want to make your pack so heavy it’s uncomfortable to carry. Determining what you need and what you could otherwise go without requires time to categorize items, along with plenty of deep contemplation. When you’ve finally sorted out what you need to take, you now have to fit it all into a single backpack — unless you plan on having your friends haul your load for you, which is a quick way to ruin friendships. When selecting a backpacking pack, you want something that’s suitable for your type of expedition, comfortable, and lightweight. Here are our picks for the best backpacking backpacks you can buy. Made for the serious mountain hiker, Osprey spent time on the nitty-gritty details of the Atmos AG, leaving no facet overlooked. 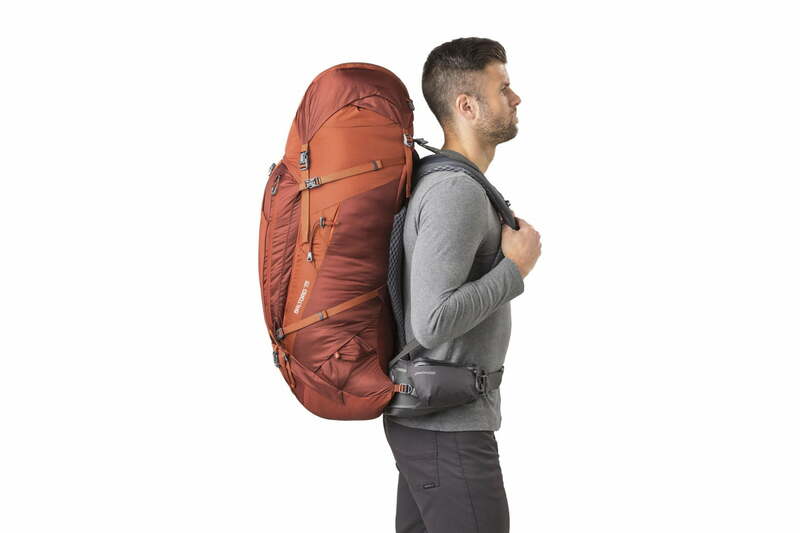 The highlight feature of this pack is the Anti-Gravity suspension system, made to even out the heaviest of loads so it feels like you’re carrying less. The suspension system is incorporated throughout the entire mesh back panel down to the Fit-On-The-Fly hip belt. The flexible mesh provides excellent ventilation while the hip belt contours to the body and is easy to adjust. If you’re super organized, you’ll find a nice companion in the Atmos. This pack is loaded with features including dual-zippered front panel pockets which allow easy access to things you’ll need often and a removable floating top lid, which can be stuffed for oversized loads or removed for lightweight backpacking. Osprey’s Flapjacket feature also provides compression and protection from the elements when the top lid is removed. The Atmos boasts dual ice tool loops and bungee tie-offs in addition to a stow-on-the-go trekking pole attachment to tuck away poles. 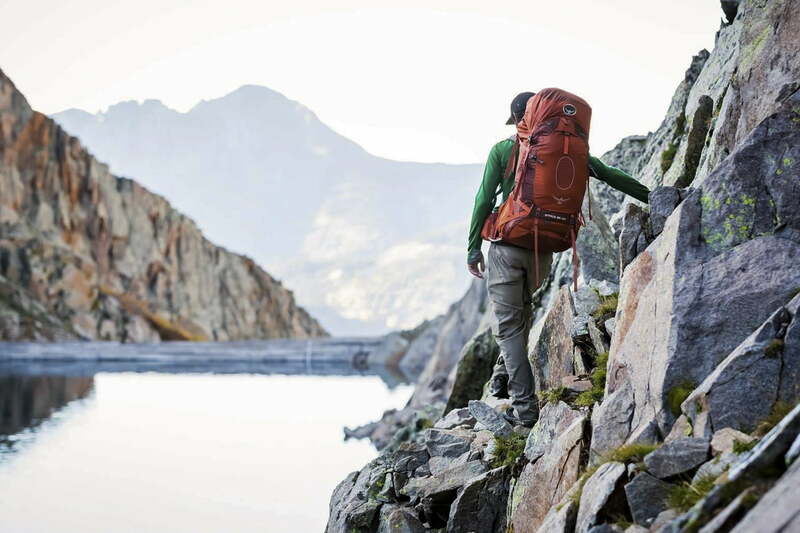 To top it off, the pack weighs under five pounds, making it an elite mountain contender. $270 is a fair price to pay for all these features, making the Atmos AG 65 our top contender. Ultralight backpacking has become all the rage, with hikers going further and lighter than ever before. Because of this, a few cottage companies have begun making packs suited just for this purpose, incorporating the wonder fabric Dyneema — formerly Cuben Fiber. Hyperlite Mountain Gear sits at the pinnacle of this trend with its meticulously designed Dyneema products. The 3400 Southwest pack is no exception, making for an ideal ultralight hiking pack which can also be used as an everyday, every-excursion hiking pack, coveted for its light weight at just over two pounds. While it’s typical to be skeptical of the carrying capacity of super lightweight, minimalist packs, the contoured aluminum stays and firm foam incorporated into this pack stay put under a heavy load. The durability of the Dyneema face fabric is unprecedented while remaining 100 percent waterproof, making for complete protection from the elements — the Southwest 2400 can just as easily be used as a rafting dry bag. If you’re looking for added features, that’s probably where this pack comes up short; it’s designed to be simple. The pack includes a roll-top closure system, three external hardline pockets, and an internal mesh hydration sleeve but that’s essentially the extent of its features. However, there are buckles for optional pack accessory straps. You’re paying for the light weight and durability here and for that purpose, it’s worth every penny of its $345 price tag. Every piece of equipment Arc’teryx designs is high-quality and made for performance. 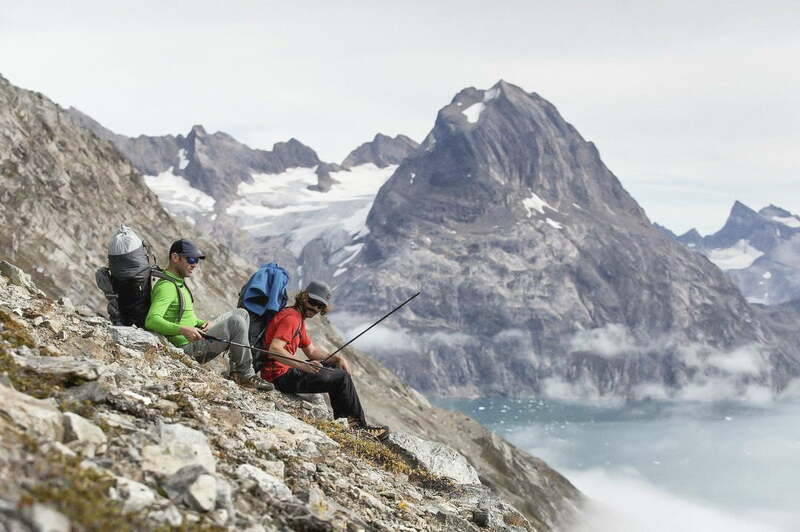 If your main priority is customization and comfort, the Arc’teryx Bora 63 can’t be beaten. The hip belt incorporates RotoGlide, which moves up and down with your body as you walk and transfers pack weight accordingly, making for unprecedented comfort. The foam in the shoulder straps and waist contours to your body over time and is thick enough to provide cushy travel, no matter the distance. The GridLock shoulder strap system adjusts precisely in both width and height directions. The Bora incorporates aluminum stays and a Tigris frame sheet, guaranteeing a tough suspension that can sustain heavy loads. The pack’s highlight feature is its use of AC2 fabric, seam seals, and some watertight zippers, which provides for unprecedented weather resistance when compared to other traditional packs. While you can almost say it’s completely waterproof, it’s at the least extremely water-resistant, keeping the contents of the main compartment and lid dry during wet conditions. The only downside is its average weight and extremely high $550 price tag, but if you’re often hiking across steep terrain or in rainy weather, it’s worth its weight in gold. An affordable price tag doesn’t always mean a product lacks quality. For an affordable $180, Osprey’s Volt 60 pack performs just as well as many others on the market and comes equipped with a host of desirable features. Many users rave about its streamlined design and as Osprey states on its website, “less is more.” In addition, this pack weighs much less than average, checking in at just 3 pounds 14 ounces. Although the pack doesn’t offer choices in frame size, it is highly adjustable throughout the torso. The Fit-On-The-Fly hip belt makes for adjustability around the waist, allowing for up to three inches in customization. Thick foam padding lines the shoulder and waist belt straps, ensuring comfort. This backpack also includes a mesh back panel for ventilation and two mesh side pockets for storing a water bottle or essentials. In addition, the Volt 60 boasts a front mesh pocket and dual zippered hip belt pockets. Stow-on-the-Go trekking pole attachments are a bonus feature for when you’re tackling challenging terrain. If you don’t have a lot to spend and you want a quality pack, the Osprey Volt is your best option. For short trips when you don’t need to carry as much weight, a smaller pack is ideal. The REI Flash 45 serves its purpose as a high-quality overnight or weekend pack while standing its ground in terms of comfort and features. It weighs just 2 pounds 14 ounces and is capable of hauling 30-pound loads with ease. One of its stand-out features is a comprehensive compression system that draws weight in towards your body, stabilizing your core in its natural, forward-tilting position. This top-loading pack includes a back stretch mesh pocket for holding extra layers or accessories and a floating lid that can be elevated for overstuffing. 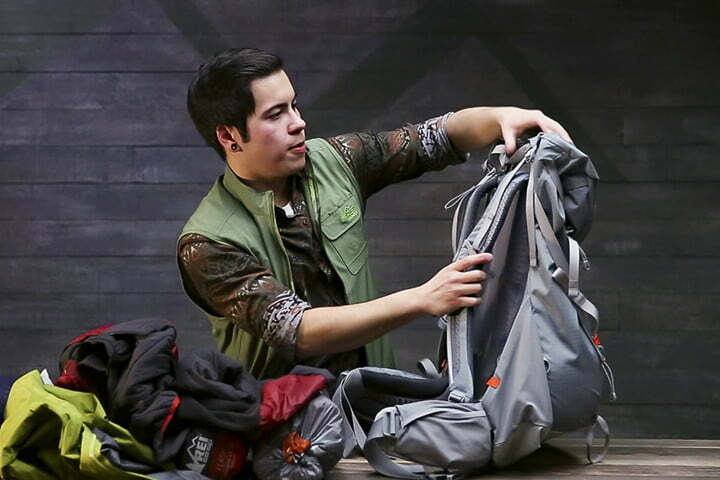 The REI Packnit back panel is crafted of foam and designed for ventilation. Similar to traditional larger packs, the Flash includes a hydration reservoir and attachment loops for ice tools. One of its most unique features is the location of the side water bottle pockets. 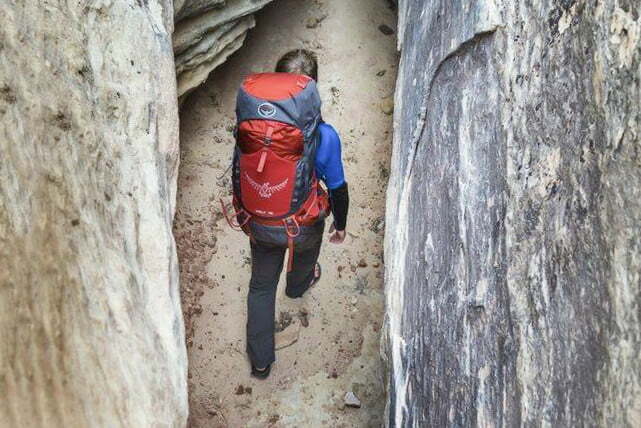 They are angled backward over the hip belt, allowing for easy access to water without needing to take your pack off. They also include secure snap closures. The only downside to this feature is that it doesn’t easily allow for transport of objects in these pockets other than rigid water bottles. If you’re solely an overnight or weekend hiker, you should consider the REI Flash 45. With a price tag of just $150, it’s also an extremely affordable option. When you’re out on a multi-week expedition or even an international backpacking trip, you’re going to need something tough and big enough to carry all your belongings. The Gregory Baltoro 75 is the ideal heavy hauler thanks to the comfort and support it provides no matter how long you’re on the trail. Updated for 2018, this pack is lighter than ever and includes a few useful new features — though, it’s not the most ideal for those wanting to travel fast and light. Gregory’s Response A3 suspension system allows the harness and hip belt to rotate independently so you stay agile and balanced even across the roughest of terrain. When carrying a heavy load, customization is necessary and the Baltoro 75 features a LumbarTune removable 10-millimeter insert which allows you to fit the back panel precisely to your back. It even allows for three different torso options, which give this pack a versatility anyone can take advantage of. A high-strength tubular aluminum frame ensures continued support down the trail, even at the end of a long day. It matches what it offers in comfort in organizational options, including a top-loading design, U-zip panel access, two side-mounted zippered pockets, zippered bottom sleeping bag compartment, stretch mesh stash pocket, a stow pocket on the hip belt for storing items needing easy access, and six lash points in total. An added bonus is the SideKick, a hanging hydration sleeve that doubles as a daypack when you need something light for a quick trek. The pack weighs nearly five pounds in total but when you need to go the distance, the Gregory Baltoro 75 will comfortably get you there — and at $330, it won’t break the bank, either. 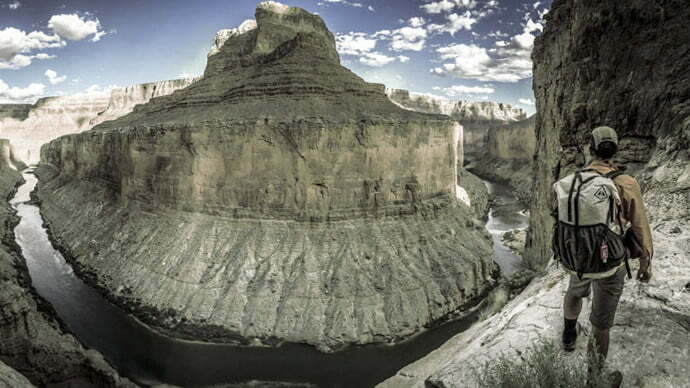 When it comes to backpacking, a lot of factors come into play. In order to select the appropriate pack, you first need to consider what kind of backpacking you’ll primarily be doing. You might want to purchase one pack specifically for overnighters and one pack for extended trips. If you’re a serious thru-hiker, you might want to consider going the way of the ultralight backpacker. The primary thing to consider is what size pack is appropriate for you. Certain hikers prefer to carry different weight loads than others. There tends to be a general rule of thumb to follow when selecting a pack capacity. For an overnighter or weekend trip, 30 to 50 liters is sufficient. For a multi-day trip, 50 to 80 liters is most appropriate and for extended trips, you’re going to want to go with a pack that is 70-plus liters, unless you decide to go the route of ultralight backpacking, of which you can greatly reduce your load. Also, it’s important to take the season into consideration. In winter, you’re going to be carrying more layers and therefore want more space in your pack. Your winter backpacking tent might also be heavier than your summer backpacking tent. Think about whether you’ll be doing mostly summer backpacking or taking treks during cold weather. Especially in summer, you’re going to want a pack that’s well ventilated, so you can avoid sweaty back syndrome, which can lead to uncomfortable rubbing and chaffing. This applies mostly to your back panel and hip belt, your two primary points of skin contact. Suspended mesh panels and ventilation chimneys effectively solve this problem. Our top pick, the Osprey Atmos, features the Anti-Gravity system, which provides for excellent ventilation. It’s important to take into consideration the ventilation features of each individual pack. While traditional packs are not resistant to the elements, it is something to take into consideration especially when venturing through typically wet and rainy areas. The Hyperlite Mountain Gear Southwest 3400 is naturally waterproof, being constructed from Dyneema, while the Arc’teryx Bora is extremely water-resistant. While traditional pack interiors are often treated with a waterproof coating, water can get in through seams and zippers — to avoid this, we highly recommend purchasing a rain cover. In addition, consider storing your things in dry stuff sacks, which provide waterproofing of their own, especially for your phone, wallet, and other valuables.